It’s all over! 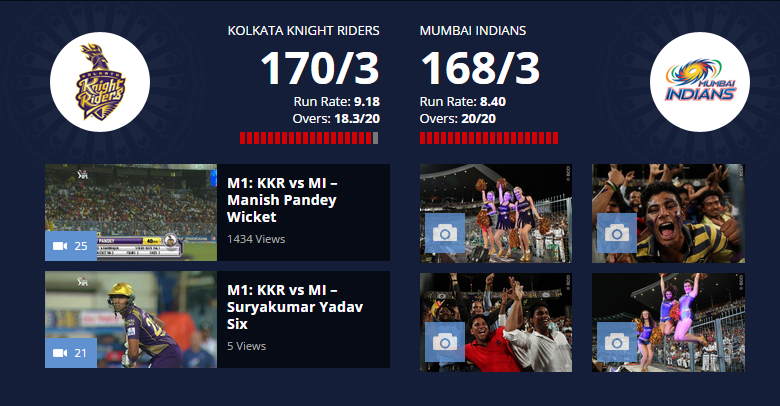 Kolkata Knight Riders won by 7 wickets. Kolkata had played nice game. Kolkata give their fans something to cheer early on at this years IPL. They will be extremely pleased by their captains responsible 57 runs and then with the power of Pandey and Suryakumar Yadav late on. Mumbai Indians have work to do but runs for Rohit and Anderson will certainly show that they are capable of huge totals in this tournament.